French for adults French courses for adults and students of all ages and language levels who want to study French in the summer or throughout the year. French courses for Seniors French language courses specially designed for students over 50 who want to improve their grammar, conversation and at the same time, some social and cultural aspects of the host country. French for Professionals These are specialised French courses where you will learn the fundamentals of your target language, including listening, speaking, reading and writing, and you will use the French language in familiar professional situations. French courses plus activities Your group French language course will take place in the morning, leaving the afternoons free to indulge in your favourite activity, from salsa, cooking and wine tasting to surfing, tennis and more. French Exam Preparation French Exam preparation courses designed to improve your skills for the exam so you will learn techniques for doing the reading comprehension quickly and efficiently. French courses for Juniors Each summer or throughout the year, Language Bookings teams up with our most trusted language schools to provide an excellent collection of Junior French Language Holidays in a safe, fun and international environment. 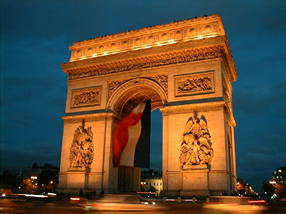 Find the lowest prices for French Language Courses Abroad! Are you looking for French language school in Paris or learn speaking French in Canada? How about to learn in French in France or language courses for adults in Quebec? Whatever type of French course you are looking for, Languagebookings.com will help you find it—and at the lowest possible price! Browse over many French schools in many locations across the globe until you find the French course and school that is right for you. We make it easy to find discount prices at the most popular schools abroad and we provide detailed school information, photos, videos and students reviews for a great variety of French schools abroad. Choose Languagebookings.com for all your courses reservations, and see why more and more students are choosing us for to study French language abroad! Take a French Language Course that Actually Works! A good French language course will expose you to basic French language guidelines, pronunciation, verbs, genders and articles. You will also be taught to structure sentences, compare one thing to another thing, tell time and how to ask questions in your French language course. Besides this, you will also get to know how to formulate simple sentence structures that will help you survive as you see the sights and go on tours around the French countryside and along the various tourist attractions. Students who are planning to enroll in a French University will need to take a French language course a long time before they even start school. This is because beginning a French language course just as school starts may mean that you won’t understand the first half of your semester and begin to understand the second half of your semester. For this reason, make sure you take a French language course before you really need one. Ideally, a French language course is progressive and available for every level of French comprehension. There are many vocabulary lessons you will also need to take during your French language course. Normally, themes of vocabulary include months, days, dates, times the date today, numbers and the alphabet. You will most likely need to determine which level of French is going to be appropriate for your particular degree of understanding. Being honest and taking the appropriate level will take you further than if you overestimate how well you understand French. In the course of taking a French language course, not only will you meet new people in your class who are equally eager to learn this fascinating new language, you will most likely also go on some field trips. As your French language course progresses, you will also be taught how to use French language articles, adjectives, common expressions, nouns, opinions, pronouns and prepositions. You will also learn verbs, tenses and questions. You will have an advantage over all your friends back home if you take a French language course in France. This is because taking a French language course taught by an instructor who is actually French will get you ahead in terms of your accent and comprehension. He or she will be trained in teaching the French language with the correct techniques. This is much better compared to an instructor in your native country who is not even French. You will also be forced to speak the French language as you go about daily life in France. Even the most mundane tasks such as grocery shopping will immerse you in the necessity of needing to use what you had learn in French language course.